Hear Ye, Hear Ye, Read Ye, Read Ye, Save Ye, Save Ye! We at Valley Fabric Shop, invite you to save Friday, March 22 at 6:00 p.m.for a special event. This event is scheduled to take place during our Spring Fling, which will be held Thursday, March 21 - Saturday, March 23. Often our special events are on Thursday during our sale, but this event will be on a Friday evening. Please join us at the shop for a wonderful hour of demonstrations, new samples, and refreshment. We are so, sew, so, (couldn't resist!) excited to show you what we have been working on. You will love our new techniques to use precuts, and your own scrappy fabrics to create beautiful quilts and other projects. We are feverishly stitching to get our samples finished, we are on a quilting high!! 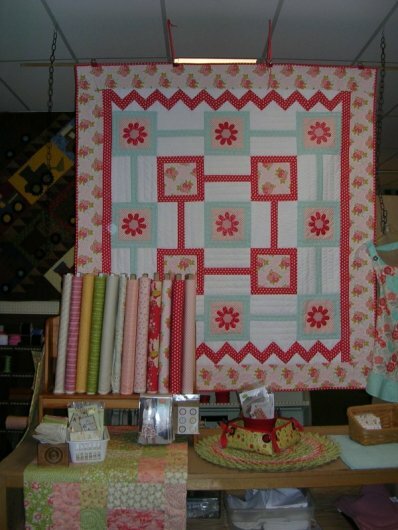 Mark your calendar and tell the family to entertain themselves on Friday, March 22. . . . because you are heading to the Valley Fabric for an evening of creative entertainment, quilting inspiration and new technique opportunities. We can't wait to see you there! More details headed your way soon. It will also be our Spring Fling with sales on all fabric!